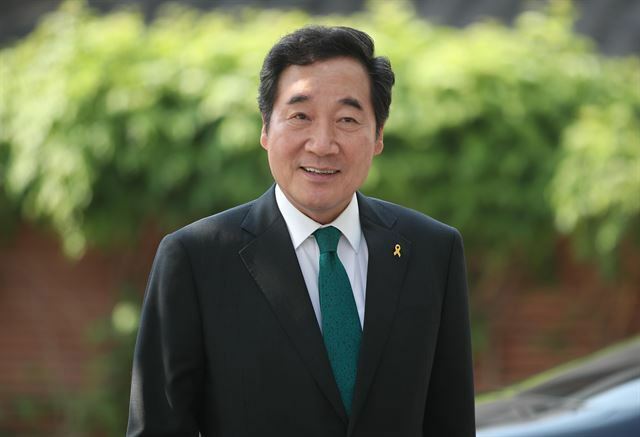 Prime Minister Lee Nak-yon ordered government officials Thursday to focus on stably managing the supply and demand of electricity as a record heat wave has continued to scorch the nation. South Korea has been gripped by extremely hot weather for weeks, with temperatures in Seoul hitting a record 39.6 C on Wednesday. The record-breaking heat wave raised concerns about the stability of electricity management. "(The government) will do its best to reassure households and companies through the stable management of the power supply and demand," Lee said at a meeting aimed at reviewing state affairs. He said that the government earlier predicted that the maximum electricity load will likely reach 88.3 million kilowatts this summer, but in reality, power demand has surpassed 90 million kW. Energy demand in August may top July's record high of 92.5 million kW as scorching weather will likely continue into this month, Paik Un-gyu, minister of trade, industry and energy, said Wednesday. But the government said that there will be no problem in managing electricity as the country's capacity for power supply has increased, and it has also secured the power reserve of some 6.81 million kW.